These pictures were taken on Thursday, July 4th when this campaign season for the Upper House election was officially announced. 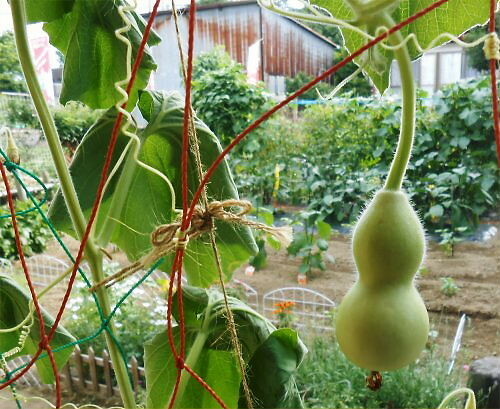 Sennari-gourd and Morning-glory (right) are growing rapidly; their vines already reached the window of Yoshy’s LL office. There is at present only one gourd which is visibly showing up. They say that men of other days used to use the gourd as a portable bottle for sake, etc. called “Fukube, like a calabash”. Come to think of it, Yoshy used to buy the flowers for LL Shihoya Arai School. 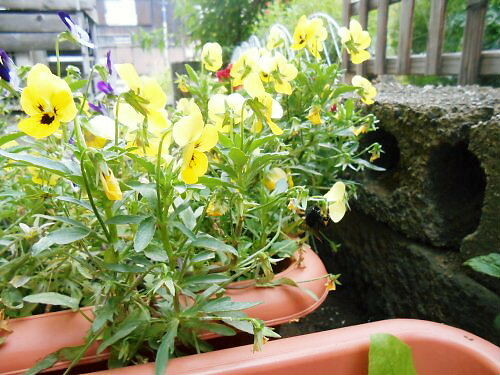 You can see “viola: pansy” in a planter; another one is maybe “Common mallow”, isn’t it? 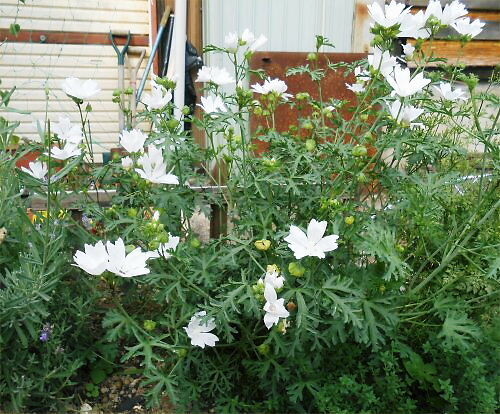 Yoshy is making effort to learn names of flowers; I often ask R their names. But I forget them soon. 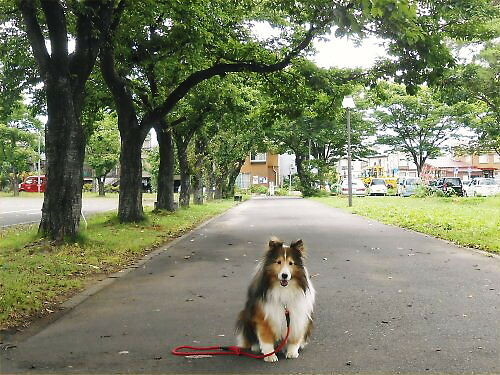 Erie is making a posture on Cherry-tree Avenue.